When, where will 2019 Kentucky Derby contenders debut? This Triple Crown winner was certainly an exception on the Derby trail. In readying Horse Racing Nation's new Derby Radar, we examined the fields for each Derby since 2013. That year, Churchill Downs instituted its points system to qualify horses for the race, removing the need for connections to rush into lucrative juvenile races. 1. Justify is the only one of 116 total Derby starters since 2013 to make his debut in February. 2. Only five Derby contenders made their debuts in January. Notably, four of them were trained by Todd Pletcher. The fifth, Battle of Midway, is conditioned by Jerry Hollendorfer. 3. The sweet spot is this month, September, in which 25 eventual Derby contenders went postward for the first time. August is the second-hottest month, not too much of a surprise given the popular Saratoga and Del Mar meets are running. 4. Few eventual Derby contenders debut outside of the bigger circuits in New York, California and Kentucky. Woodbine and Monmouth Park produced 2 starters over six years, while just one apiece came out of a debut at Arlington, Fair Grounds, Laurel, Presque Isle and Remington. 5. 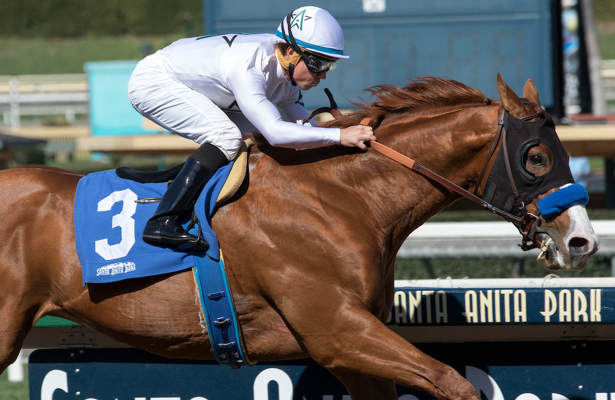 It’s one thing to identify when Derby contenders debut, and another to note when they tend to break their maiden and emerge as horses to watch. We’ll delve into that more on Thursday.